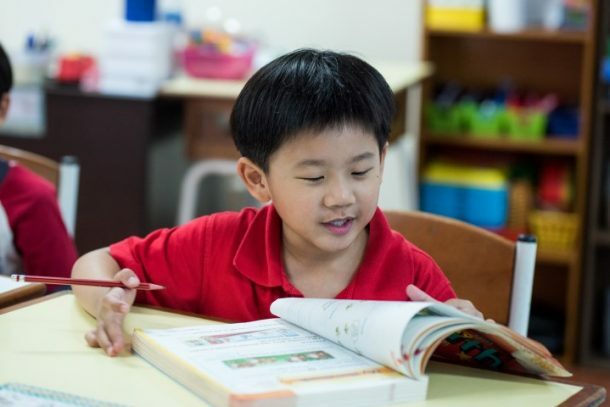 Serving students from Nursery to Grade 2, Wells International Kindergarten – Thong Lor is located a short distance from Thong Lor BTS Station on Sukhumvit 51. The oldest of the current Wells campuses, Wells – Thong Lor underwent a large expansion in the summer of 2011, renovating its existing facilities and incorporating several new additions. 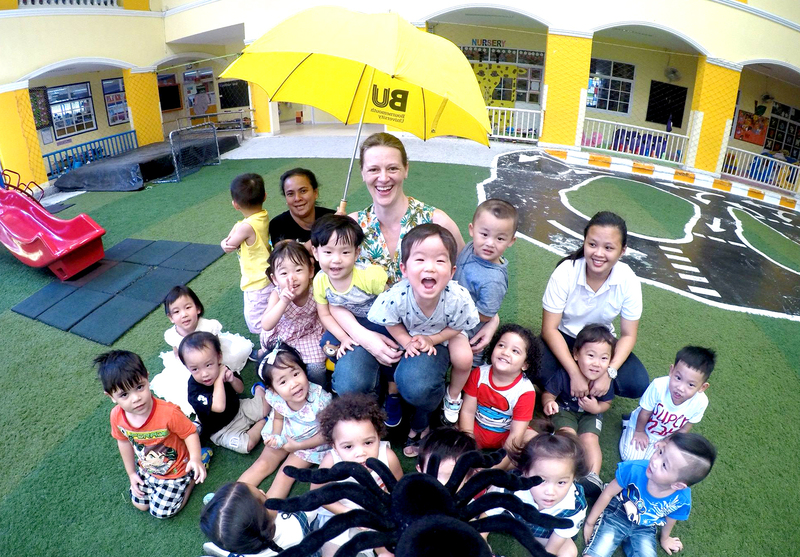 With those changes, the campus became perhaps the largest international kindergarten in Bangkok. 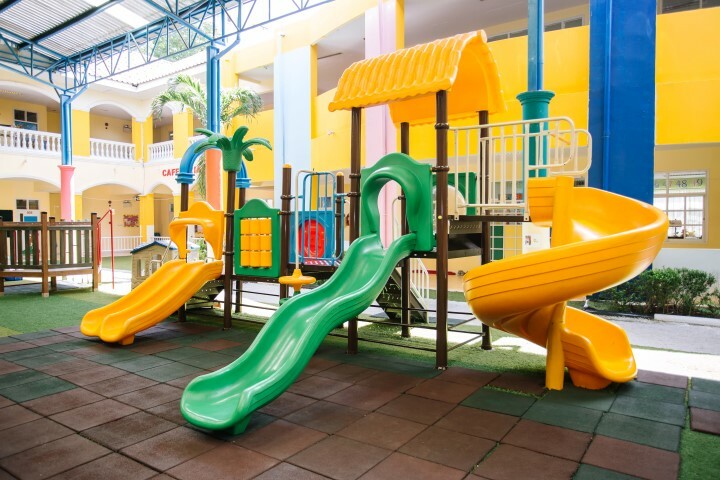 The campus is designed specifically for young learners, as the school is built around a central child-safe playground complete with slides, swings and other equipment. It is also covered by an arched roof that protects the students from the rain and allows for natural sunlight to filter through it. 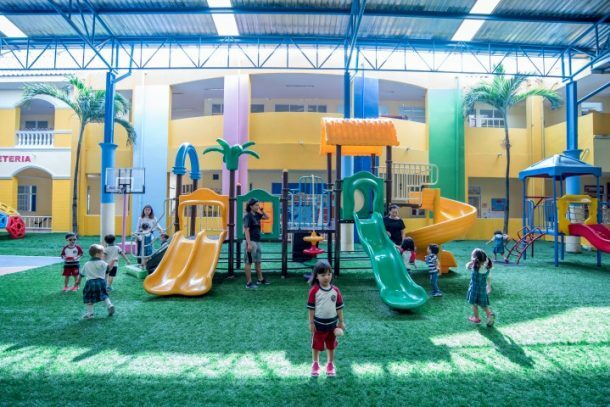 Twelve general-purpose classrooms surround the field, each filled with colorful decorations, games and hands-on learning materials. 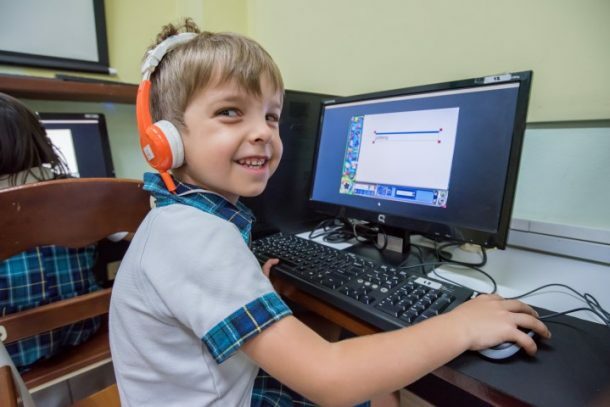 Every homeroom also features a computer connected to a projector or wide-screen television, allowing instructors to engage children through technology. 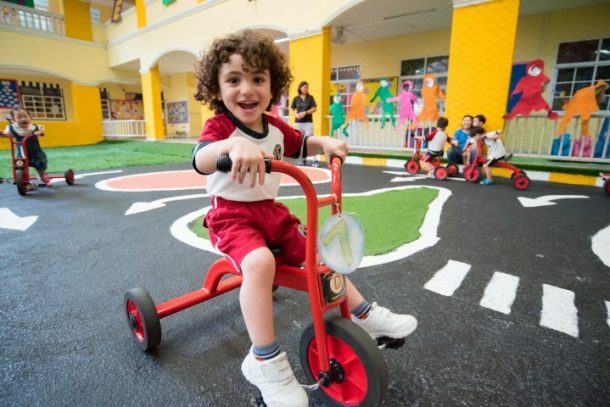 Because of the design of the campus, young children are easily able to reach all locations without walking long distances. Drinking water is available in every corridor, steps are broad and low, and eight child-size bathrooms are spread around the school. Students are monitored by teachers, assistants and other staff members at all times, and children are escorted by adults between classes. Also included are a dance and music studio, computer lab, library, art studio, small gymnasium and multi-purpose media room. Each of the specialized rooms includes equipment and materials designed for early years learners, and specialists are assigned to each of the non-core courses that are held within. 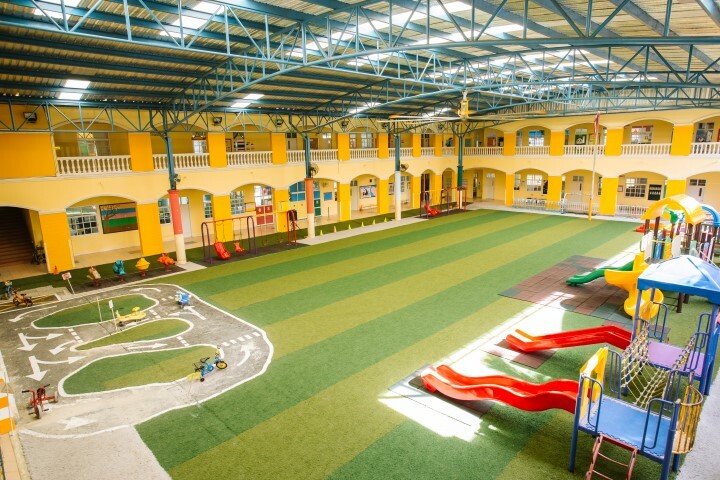 Recognizing the importance of holistic development, the campus also features several other recreational facilities to encourage students to learn to interact with one another in positive ways, and to develop not only academically, but also socially and physically. 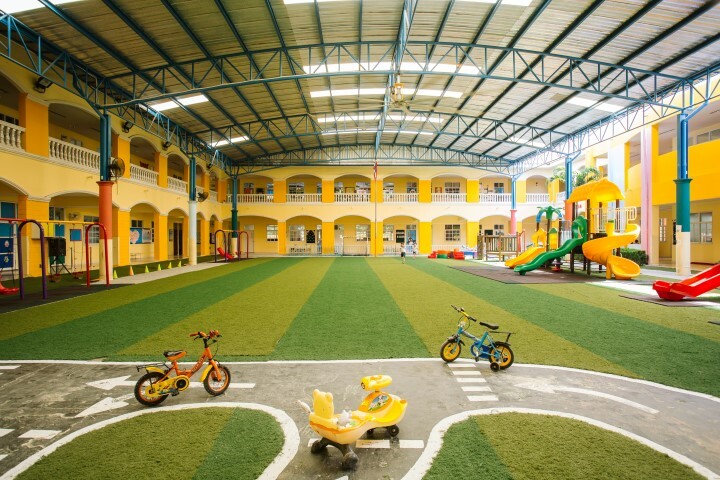 A shallow swimming pool is used for physical education lessons, and a designated “Fun Zone” has a tricycle track and sand pit, as well as an area in which children can grow plants and learn basic principles of science. 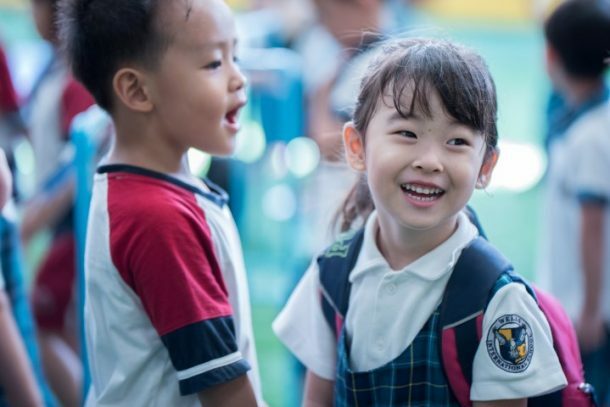 To ensure that students remain healthy and safe when attending school, the school utilizes a cafeteria service which has served the international school system for the past eight years. The service follows stringent guidelines in preparing all meals for our students. Indeed, the campus was recognized by the city of Bangkok for its standards of safety and hygiene in 2008. Additionally, a full-time nurse is employed in the school’s clinic to attend to any injuries or illnesses that may occur.